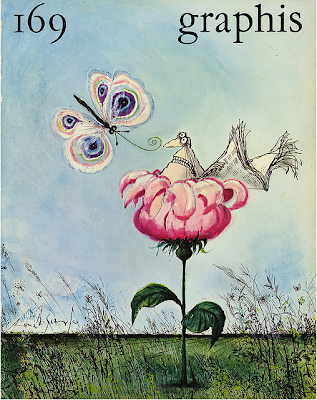 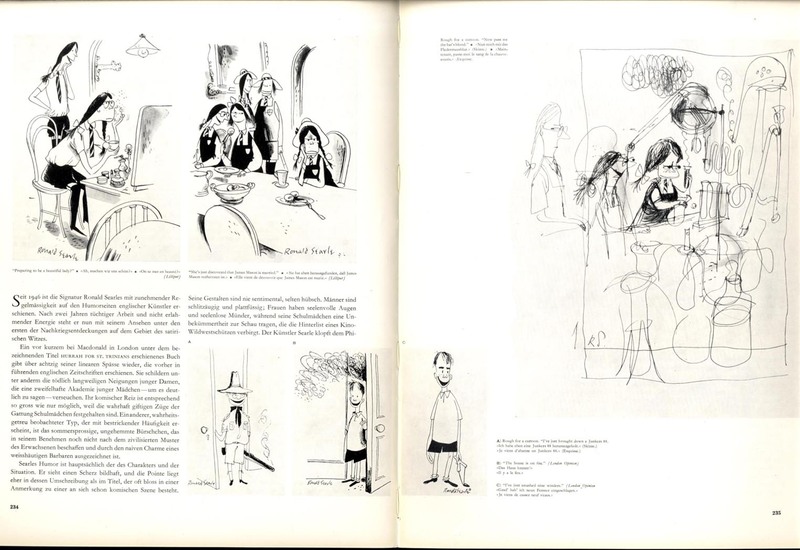 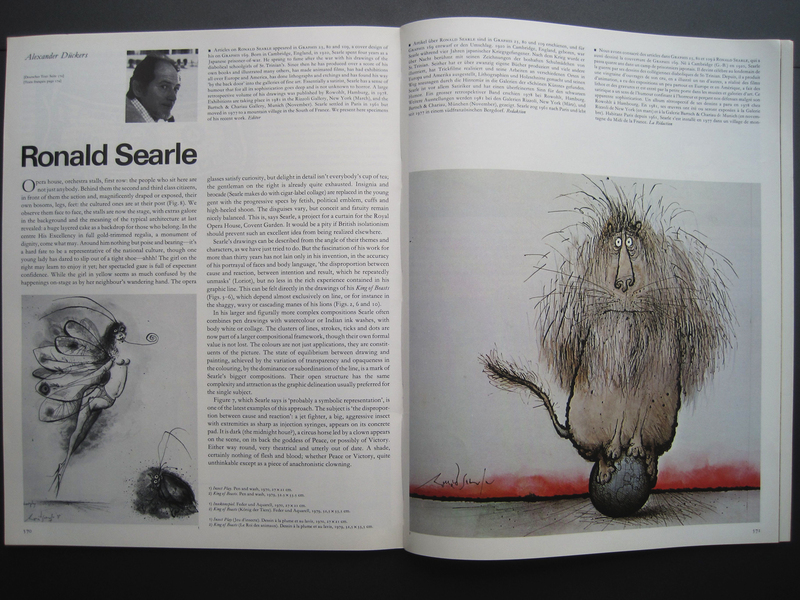 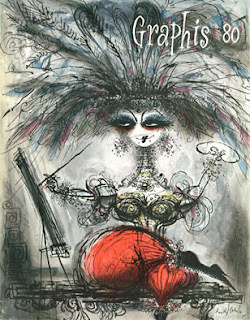 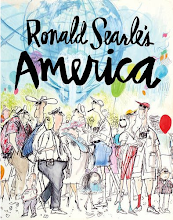 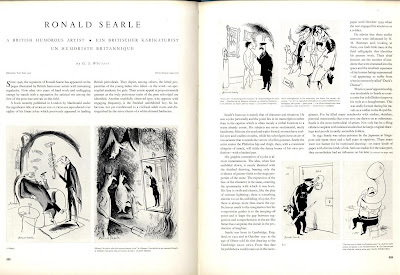 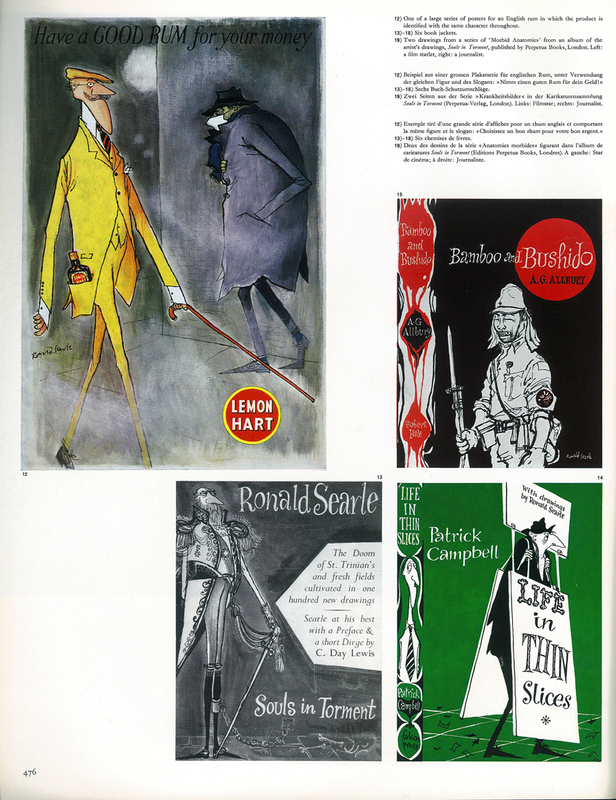 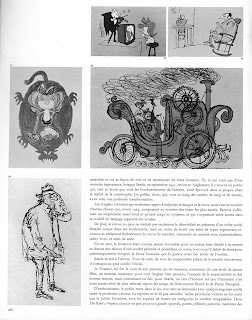 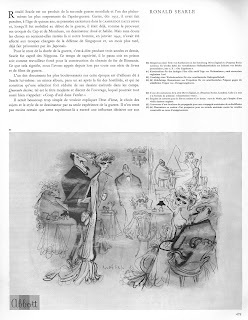 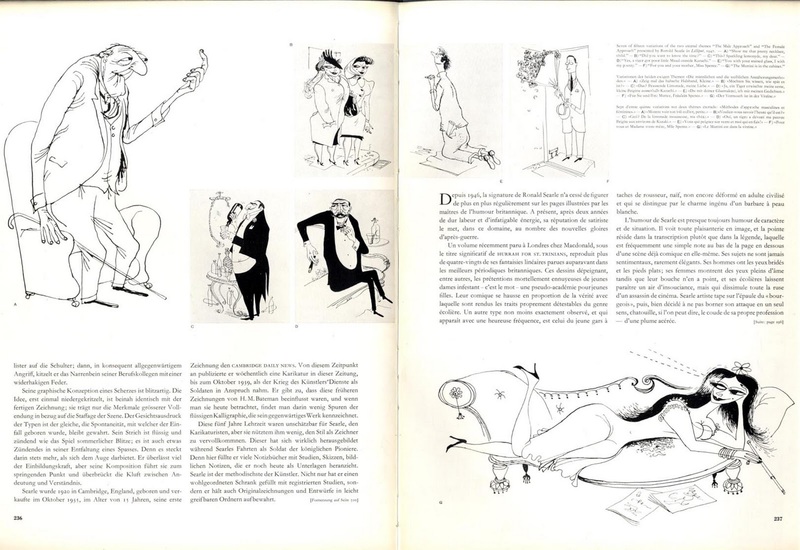 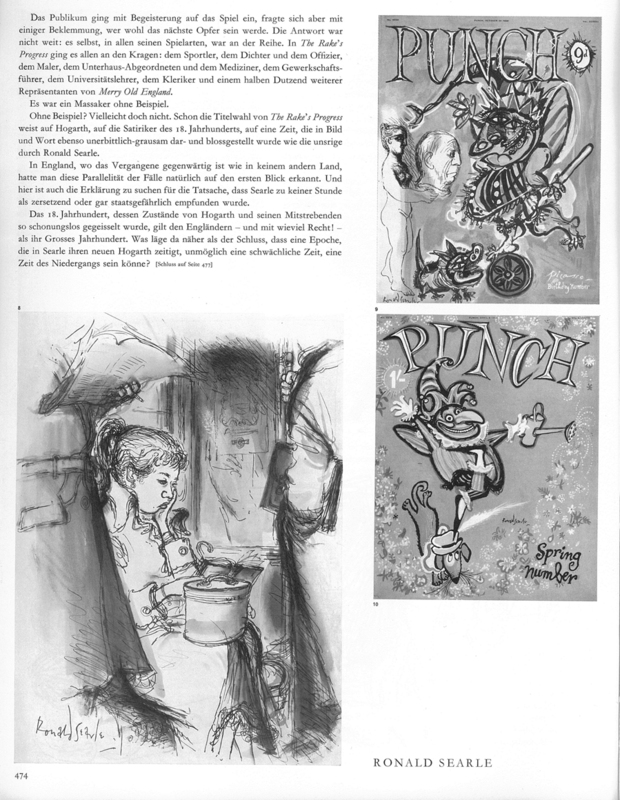 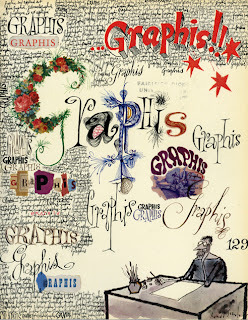 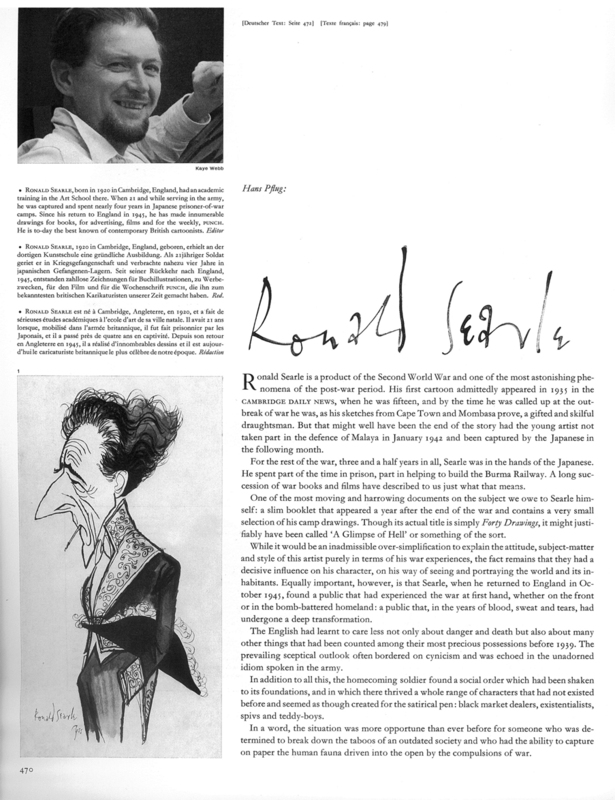 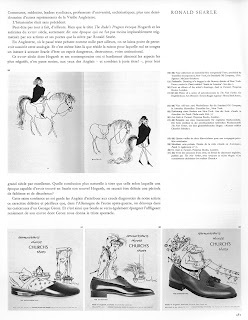 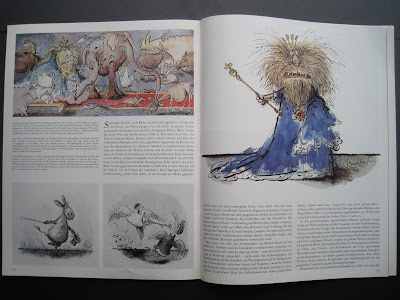 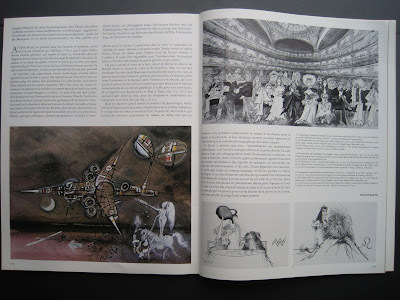 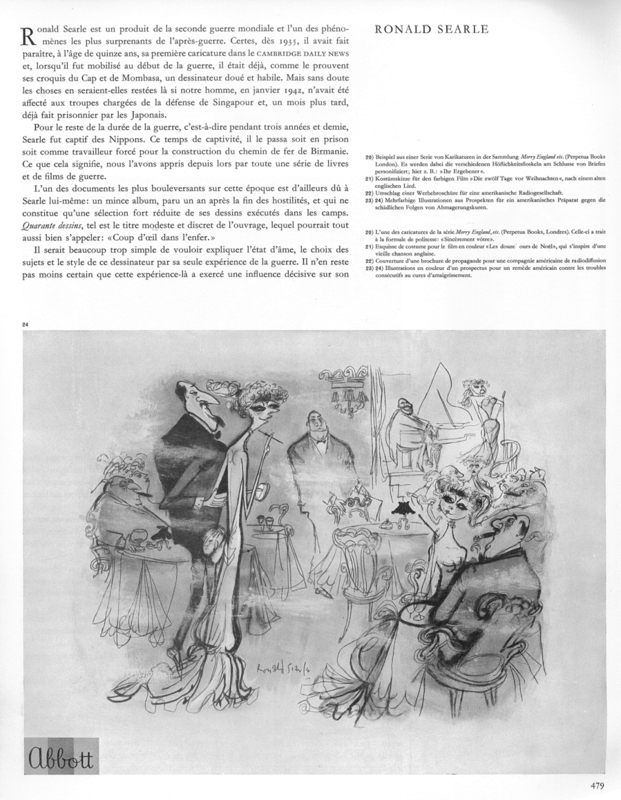 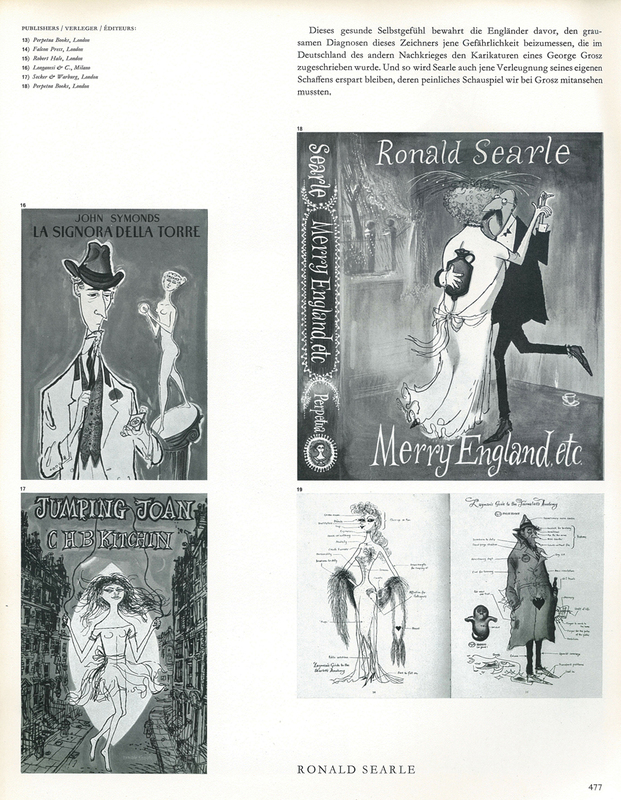 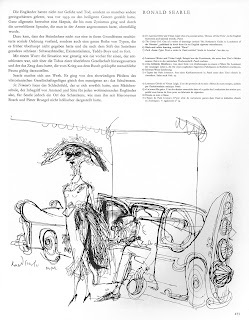 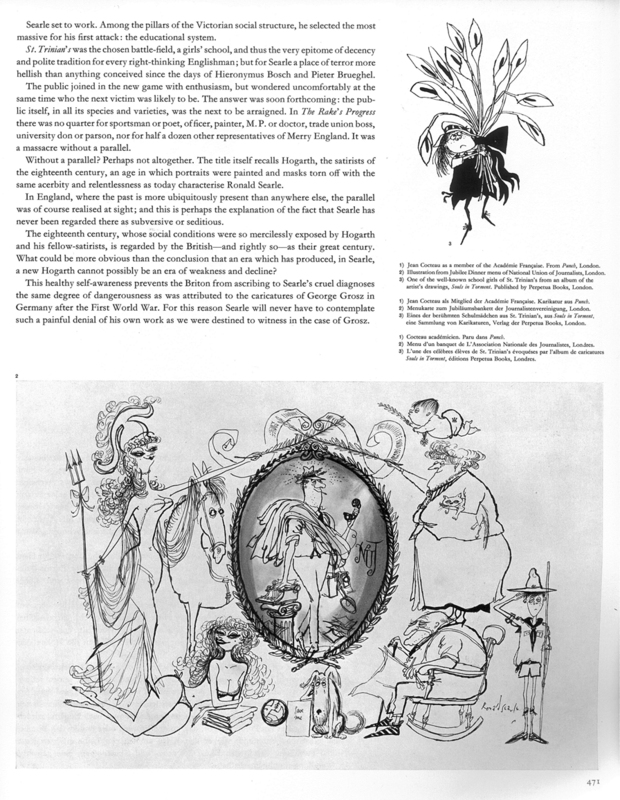 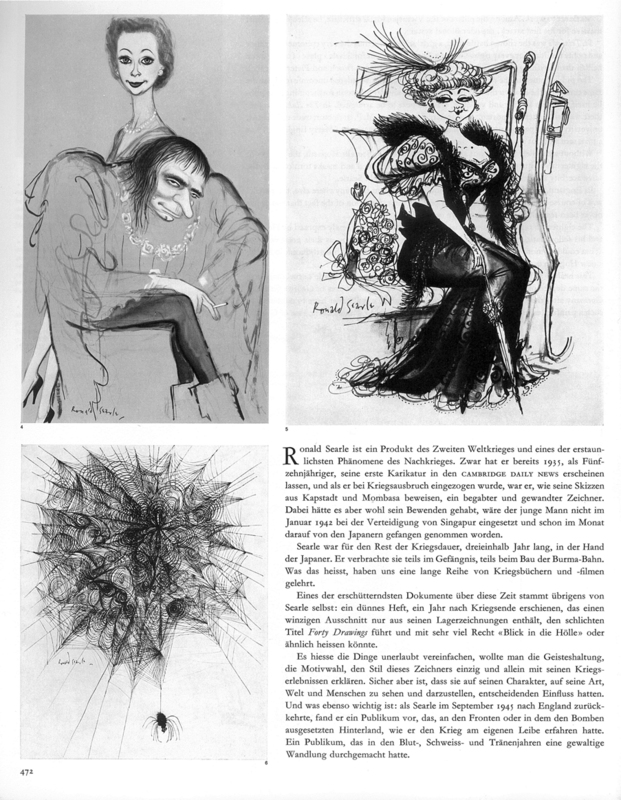 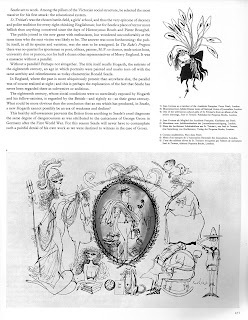 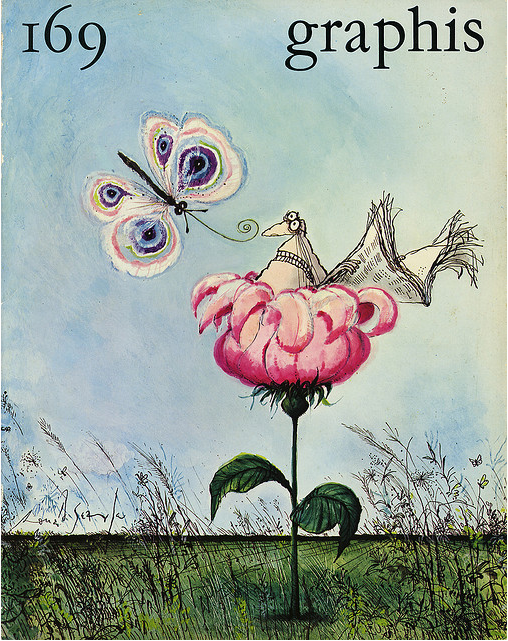 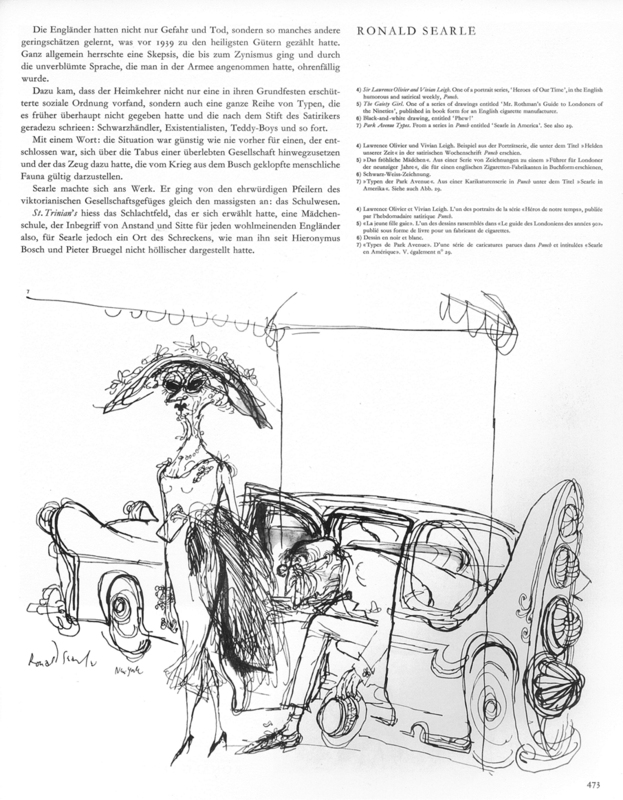 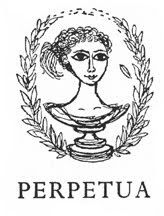 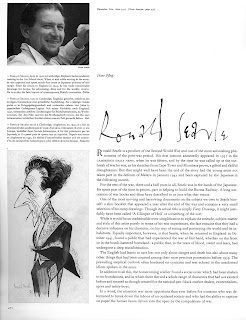 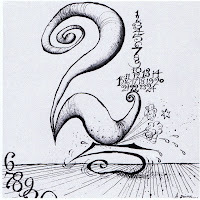 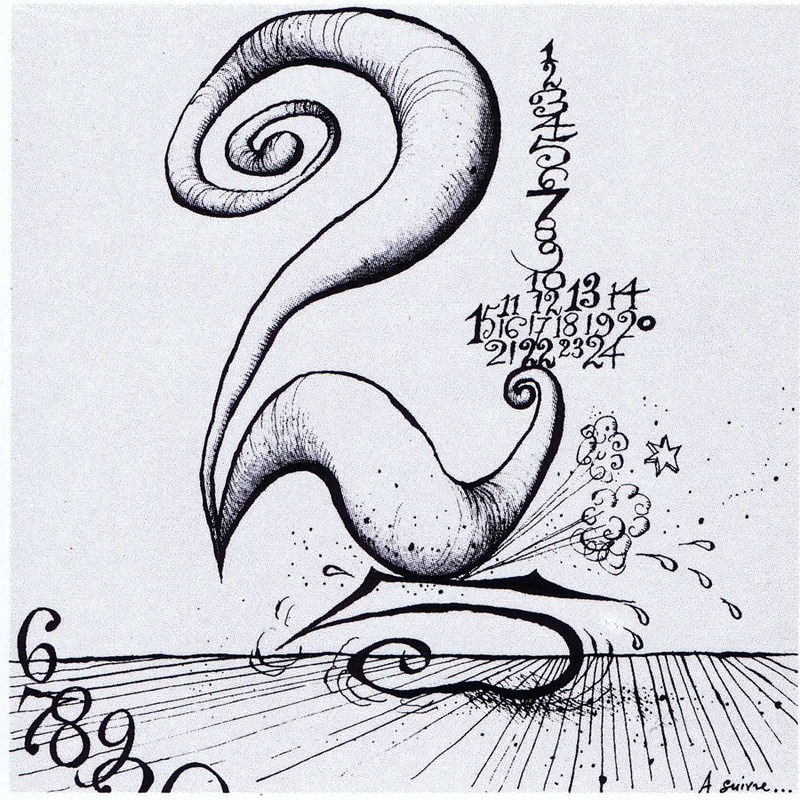 International design journal Graphis magazine featured Searle's work on several occasions over the years. 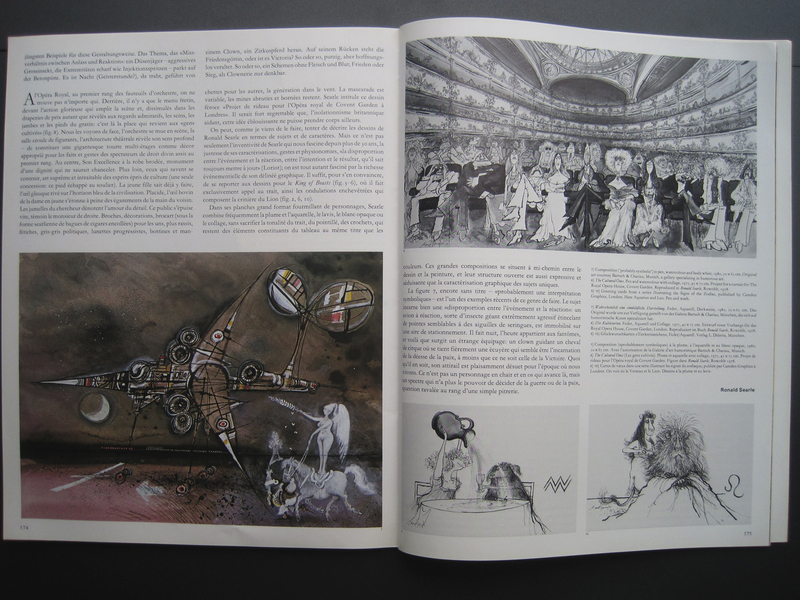 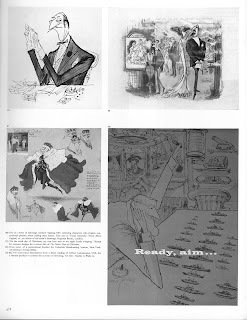 Its first feature on Searle profiled the artist in 1948 with this lavish 6 page spread. 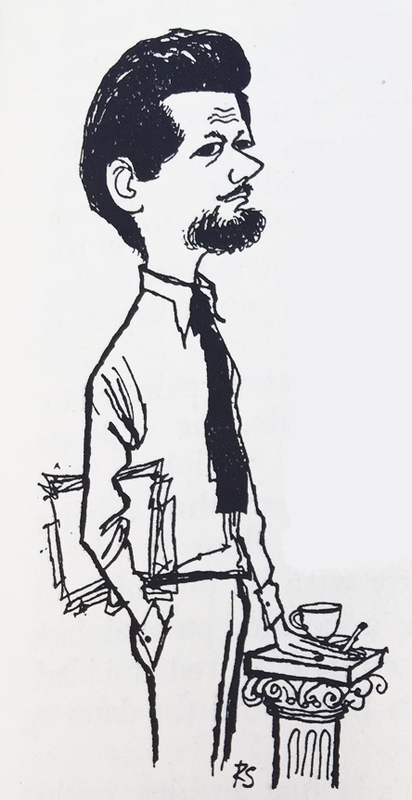 Exposure such as this must have helped Searle establish his reputation in the years after WWII. Wonderfully loose St. Trinians sketch on the right. Issue 129 (1967) Stuck for an idea Searle creates a cover from the very problem of 'artists' block'!